February 8, 2011 Dan O.
I wish there were more swashbucklers, well more swashbucklers like this. Edmond Dantés’s (Jim Caviezel) life and plans to marry the beautiful Mercedes (Dagmara Dominczyk) are shattered when his best friend, Fernand (Guy Pearce), deceives him. After spending 13 miserable years in prison, Dantés escapes with the help of a fellow inmate (Richard Harris) and plots his revenge, cleverly insinuating himself into the French nobility. If you are reading the Alexandre Dumas story this is based on, this could be your ultimate use of a cheat, because not only does this tell the whole story like it really is, but also provides some nice sword-fighting, if your into that sort of thing. I was totally surprised by how good this film actually was. The story is your same old, same old, revenge story, but the way it moves from one scene to the next will keep you watching. For the most part, the script is pretty good. It’s an old story so you can’t really do much different to it, but there are plenty moments of actual wit, and true messages in the screenplay. I liked mostly how this film reminded me a lot of the old 1940 swashbucklers that were so good. The many sword-fights were awesome to watch, and even the beautiful 13th century scenery was a sight to look at. I wish there were more swashbucklers in today’s world of cinema, but the latest one we have gotten was Robin Hood, which I have still not seen, and from what I hear, isn’t much of a sight in the first place. The only problem with this film is that it does start to drag at one point in the middle of the story. It kept its pace nice and breezy throughout the film, but then one little part of this film came up, and it just kind of got a little un-interesting. But that is my only complaint, considering that I wasn’t expecting this film to be a master-piece. Jim Caviezel is surprisingly good as the script is a little lightweight: he brings Edmond to life such that you always know the torment he suffers. So when you do start to see him develop throughout the film, you cheer for him, as the film goes on. Guy Pearce is such an absolute prick that you wonder how the two were ever friends let alone the best of friends. It’s a shame that both of these guys really haven’t been given much work lately, because I know they both could still knock today’s material out of the park. Richard Harris shows up in this film, in actually one of his last roles, and does a great job as usual. Consensus: What you get with The Count of Monte Cristo is a good, entertaining, old-fashioned story about people wanting what they don’t deserve and going through hell to try and get it. I totally agree with you! This was really good old-fashioned fun. 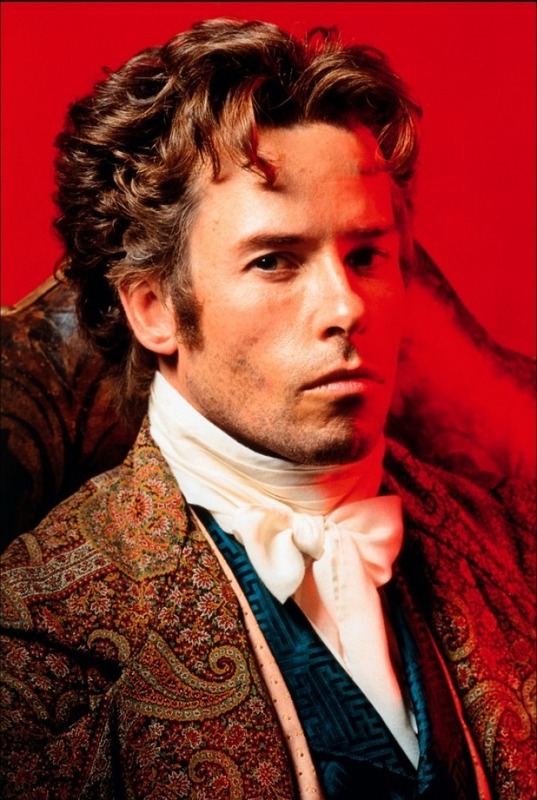 Guy Pearce at his best! Old-fashioned fun right here, with Guy Pearce doing what he does best. Man, this was seriously an underrated film. I thought it was great. The cast, the element of suspense, and the planning of revenge. My favorite performance in that film is Luis Guzman. I would definitely go see him read a phone book. He’s fun to watch. He is quite fun to watch, just like this film. It really was great, and he is too. It’s a shame that he doesn’t get much love anymore.